The French takeover has commenced, and DJ Snake led the charge as he stormed through Miami during Ultra this year. It seems as if just yesterday you first heard this new artist, making a lot of noise with his Dillon Francis collaboration, “Get Low.” Little did we know it would be one of the dance anthems of 2014, and the start to a very promising career for the French producer. With his third year back to Ultra, DJ Snake took a hold of his moment in the spotlight on the Main Stage Ultra Live stream and UMF TV. Starting off the set with his cryptic “Propaganda,” (which recently received a remix pack which you can access HERE), DJ Snake goes right for the throat with the bass alarming Bro Safari & Ricky Remedy remix to “Terror Squad.” This set is not for the fainthearted as DJ Snake blasts viewers with a bombardment of non-stop bangers. 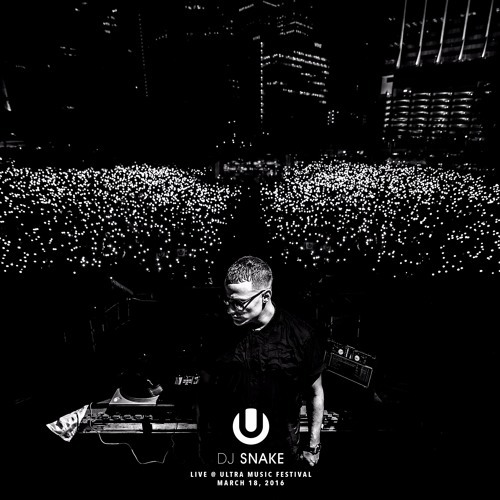 DJ Snake easily put on one of the most energetic sets of Ultra 2016. He blended everything from original tracks such as “Turn Down For What” and “You Know You Like It,” to his amplified remixes of hits like “How Deep Is Your Love.” Give this man the opportunity, and clearly he will put on a show to remember.